EZ-Fit Coops are chicken coop kits shipped in 1-2 crates, ready to be assembled. 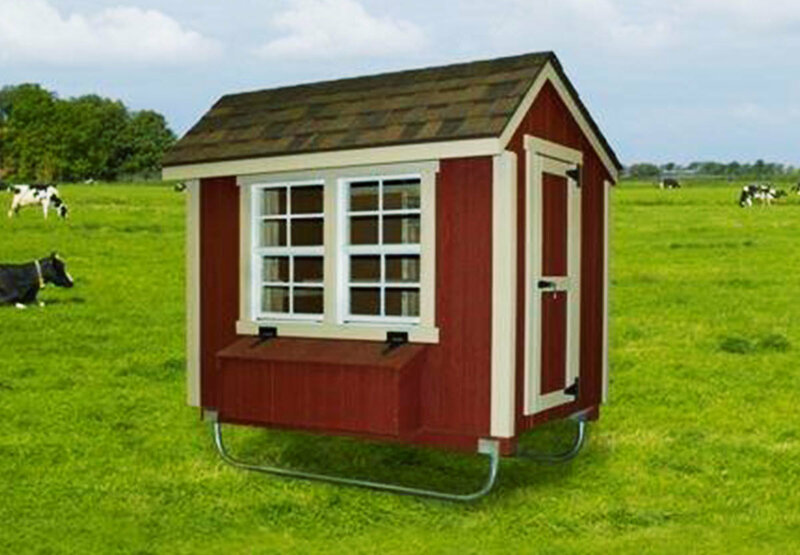 Enjoy the benefits of a great walk-in chicken coop, with the fun of building it yourself from a panelized kit. EZ-Fit kits are built to order. Please allow 3-4 weeks for construction and delivery. They are shipped by standard carriers to all lower 48 United States. You will need 2-3 people on hand when it's delivered to disassemble the crate and unpack the panelized kit from the truck. Some trucks may be equipped with a lift gate for assistance, but it's not guaranteed. You will need a drill and #2 square bit for the crate. We will support you through the process of getting your new kit, but returns are not permitted on EZ-Fit coops.